When our craftsmen molded a life-sized 2017 Mazda CX-5 from clay, they made sure every stroke had a distinct purpose. No line—no edge—no contour was sculpted by accident. The outcome? 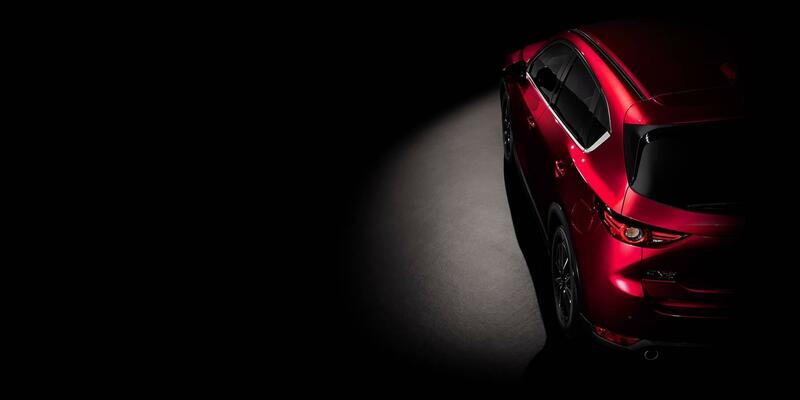 A bolder, more athletic, and more sophisticated vehicle that truly lives up to Mazda’s KODO: “Soul of Motion” design. Some automakers create paint colors and textures that compete with the form of their car. We take a completely different approach. 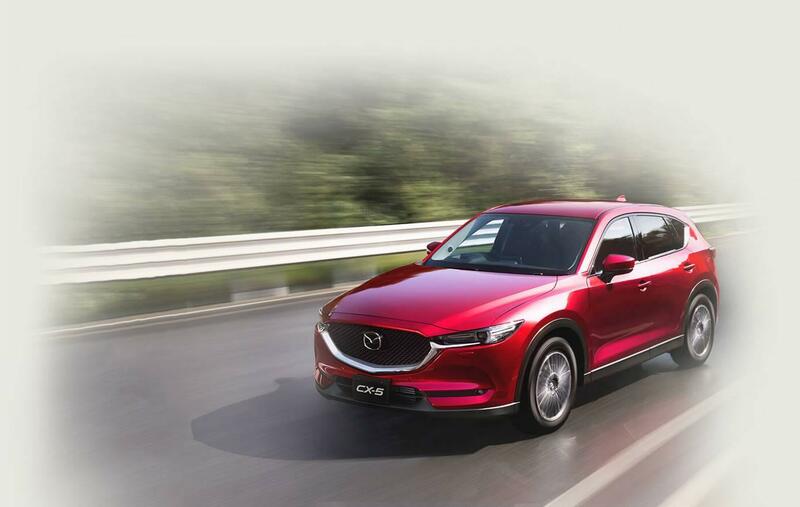 One of our goals for the all-new CX-5 was to create a color that complemented every curve, giving this stylish CUV even more depth, richness, and luster. The new Soul Red Crystal paint does just that. Plus, the unique three-layer paint process uses light manipulation to create a sense of movement, even at a standstill. Besides perfecting cargo space and passenger comfort, Mazda always focuses on the driver. Like every Mazda, the all-new CX-5 has a driver-centric cabin to maximize hashiru yorokobi, or “joy of driving.” It’s one of Mazda’s most important principles – and it’s how we build each and every car in our lineup. From the available Active Driving Display in your line of sight to the Commander control knob at your fingertips, this CUV proves that a thoughtful interior makes driving better. 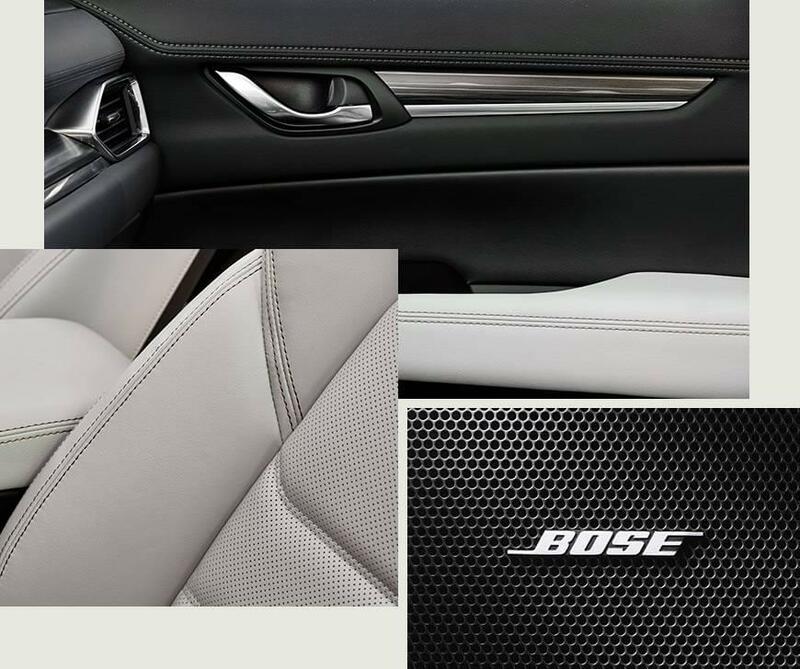 To elevate your driving enjoyment, we rearranged the speakers to minimize door panel rattle and added extra sound-deadening features like perforations in the available leather seats. All this makes the all-new CX-5 remarkably quiet; ensuring your time behind the wheel is less distracting and more relaxing. And when you do want to turn up the volume, the available Bose® sound system has you covered. We considered hundreds of factors, from cabin size and materials to seat positioning, for a custom premium sound experience you’ll have to hear to believe. Inspired technology that inspires confidence. That’s what available i-ACTIVSENSE® safety innovations give you. They use advanced technologies like milliwave radars and cameras to give you a sixth sense for safety, helping to alert you to hazards before they happen. Plus, Mazda’s available predictive i-ACTIV AWD® system monitors everything from outside temperature to braking patterns to forecast when AWD might be needed to help deliver optimal traction before the wheels can slip. It’s another way Mazda lets you focus on what matters most: driving. Mazda’s newest technology, SKYACTIV-VEHICLE DYNAMICS with G-Vectoring Control, helps you steer more precisely by optimizing load control. Just like an athlete refines his form to hit the ball further with less force, our technology strives for the same efficiency. Instead of strengthening the vehicle’s muscles, we improved how it delivers force. The effect is subtle, but how you feel after a great drive isn’t. Why go to these lengths? Because we believe no detail is too small when it comes to making driving better.